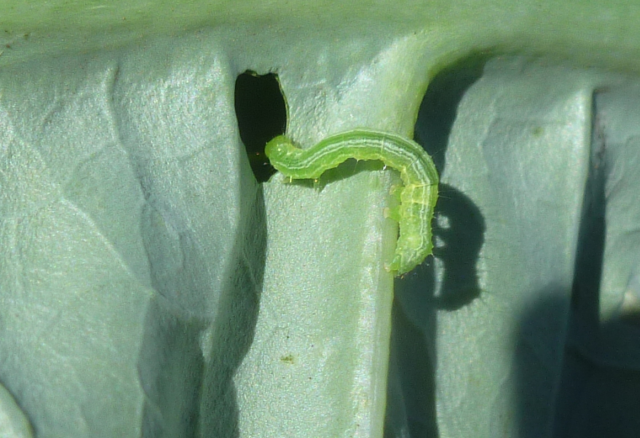 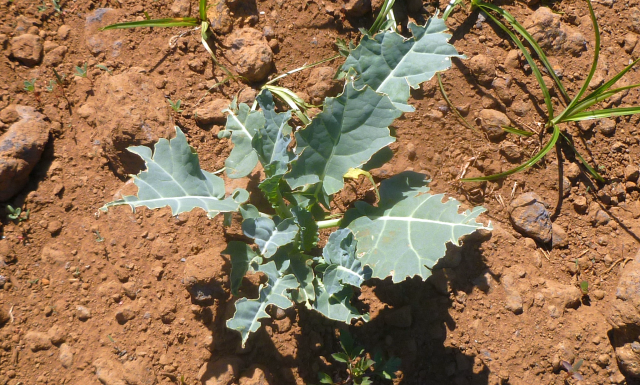 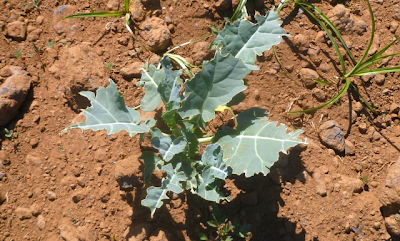 DBM from the main cabbage growing areas of the state such as in Central Oahu, Waimea on the Big Island and Kula, Maui are periodically tested in the laboratory to check on possible selection for insecticide resistance. In order to conduct this screening, DBM pupae must first be collected in the field. 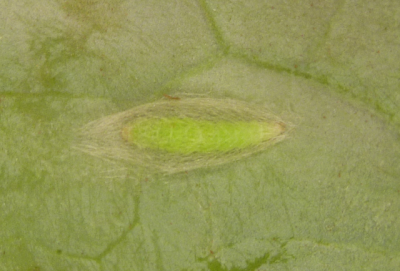 “Hunting” better describes the search for the DBM pupae when population levels are low. 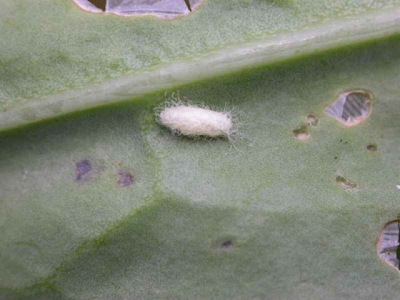 The pupal stage is the best to collect because they are not likely to be parasitized. DBM that has been parasitized by a tiny wasp looks like this. 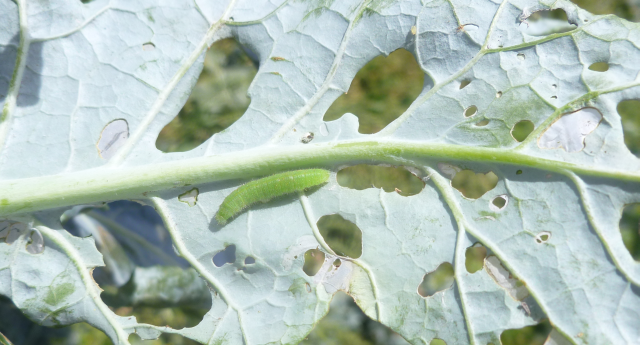 DBM caterpillars may look healthy but could already be parasitized. Holes caused by the imported cabbageworm. 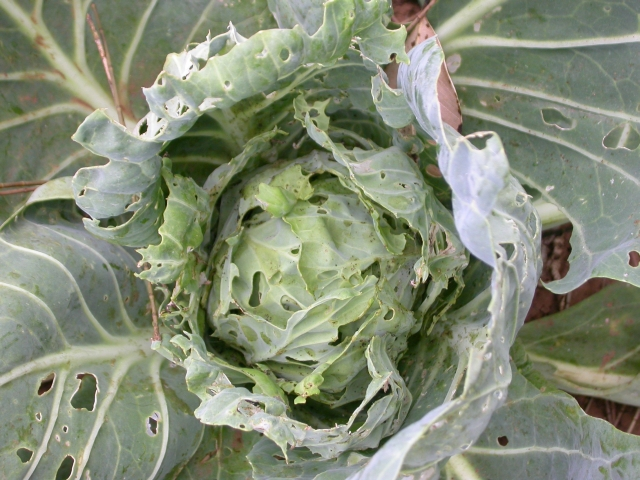 This is damage by birds - not caterpillars. About 70 DBM pupae were collected after many hours of hunting in the field. 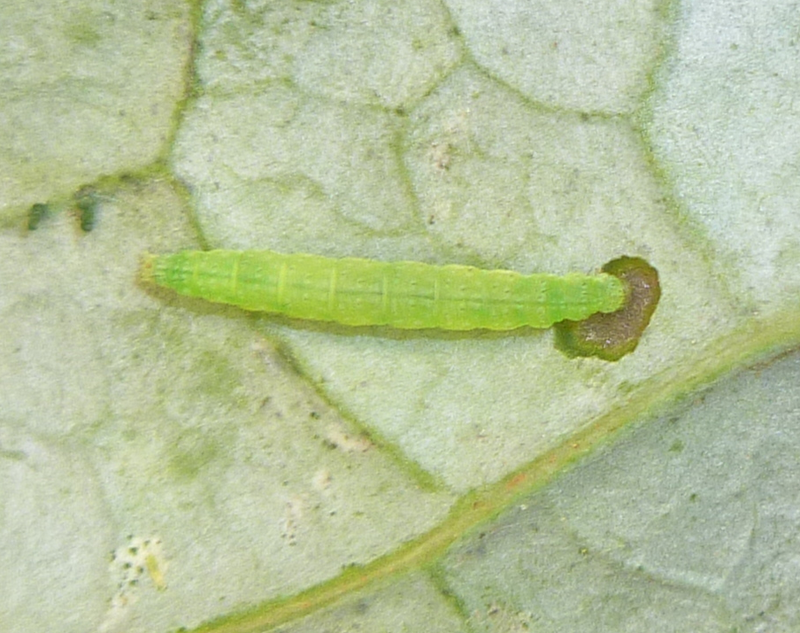 A difficult hunt for DBM pupae is a good sign for the farmers because this means that the DBM is at low levels in the field. The pupae will be held in the lab and will turn into diamondback moths. 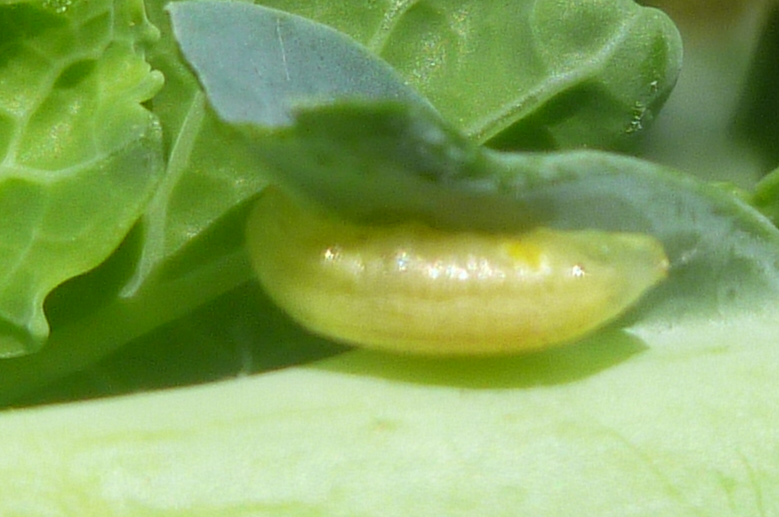 The female moths will later lay eggs which will hatch into larvae. 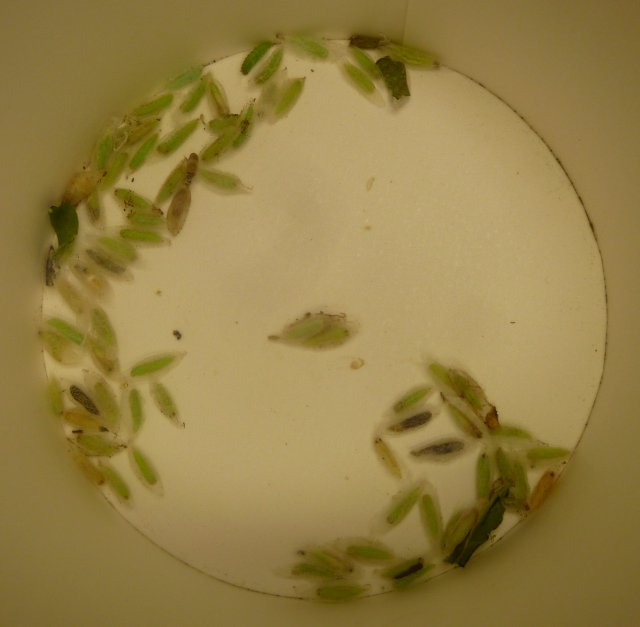 The young larvae will then be used for the laboratory screening.